NATO and the US have warned Kosovo against its plans to transform its security force into a regular army. The alliance and Washington have promised to thwart cooperation with Kosovo if it sets up the army without a constitutional change. NATO’s chief, Jen Stoltenberg, said on Wednesday that he spoke to Kosovo leaders “to convey the serious concerns of NATO Allies about recent proposals by the Kosovo authorities to transform the Kosovo Security Force (KSF) into an armed force, without a constitutional change. "We support the gradual, transparent transformation of the Kosovo Security Force into a multiethnic force in line with NATO standards. However, this transformation should be done in accordance with the Kosovo Constitution and through an inclusive and representative political process that reflects Kosovo’s multiethnic democracy,” the US embassy added. NATO attacked the Federal Republic of Yugoslavia (Serbia and Montenegro) in 1999 to aid the ethnic Albanian insurgency in Kosovo. The breakaway province unilaterally declared independence in 2008, with the backing of the US and other Western powers. Serbian Prime Minister Aleksandar Vucic has thanked NATO for its stance on the matter in a phone conversation with Stoltenberg, Radio-Television of Serbia (RTS) reported. 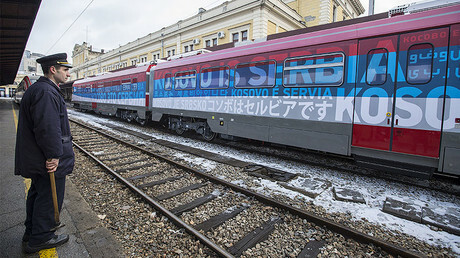 Vucic added that he expected help and support from the EU, the US and Russia over Kosovo’s move, which would violate the breakaway province’s UN-written constitution and UNSC resolution 1244. Any constitutional amendment can only be made in Kosovo if ethnic minorities in its parliament vote in its favor. Thaci believes that ethnic Serbs will never vote for establishing an army. 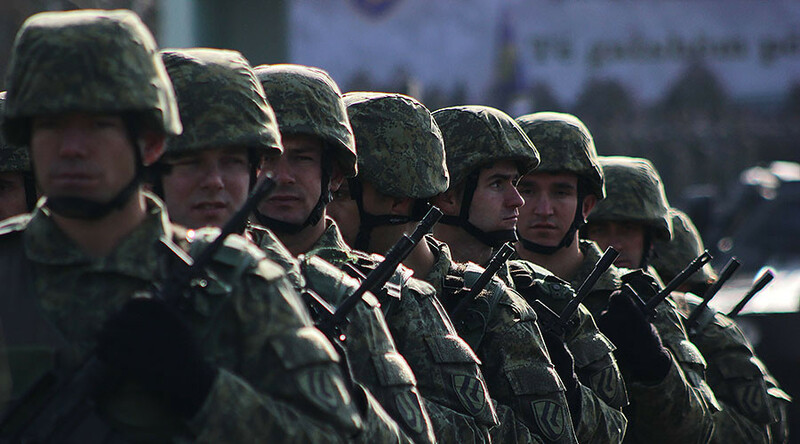 Kosovo’s lightly armed security force, formed in 2009, has now around 4,000 regular and 2,500 reserve forces, trained and supervised by NATO. KSF possesses no heavy weapons, like tanks or heavy artillery. Thaci’s plan implies increasing regular forces up to 5,000 and reservists to 3,000. There are no plans for departure of some 4,500 NATO-led international troops, part of a mission deployed in Kosovo since 1999.